And I thought I smelled ‘Somme-thun Fishy way back when I gleamed the tiny scrap of info from Kurty Cavin (I believe) proclaiming originally wheldon’s BHA ride would be sponsored by Bowers & Wilkens; Huh? 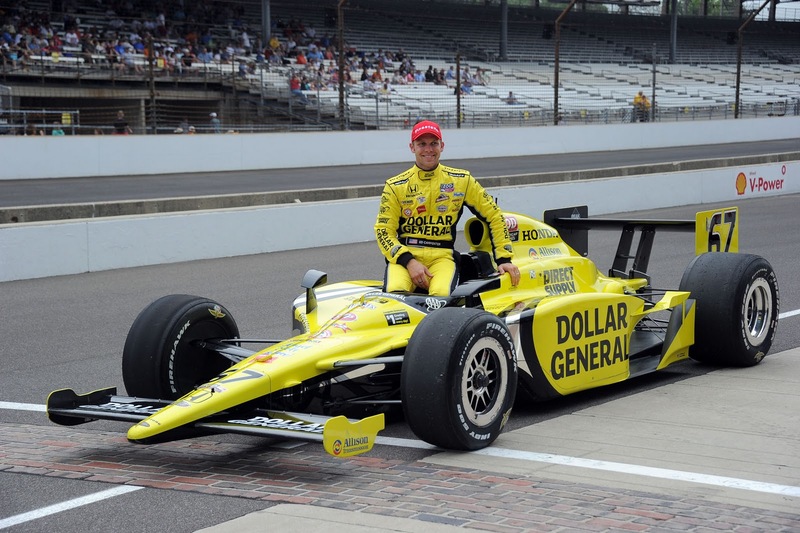 As I told an overzealous Indiana Bureau Chief “That’s Alex Tagliani’s primary sponsor,” so what gives? As in perhaps this was planned all along, eh? Thus, as Cavin explained Thursday night on Trackside, basically Wheldon and ‘TAG are effectively swapping seats for the Season Finale in Los Wages - while Wheldon will replace Tagliani this weekend at Kentucky. And all I can say is pretty clever on Sam Schmidt’s behalf! Meanwhile, in another of Sam Schmidt’s burgeoning dossier of race team affiliations, ex-Indy Lights champion Wade Cunningham will return to the cockpit for AFS/SSM’s No. 17 racecar for the remaining two Oval races. And Ditto for Townsend Bell, Buddy Rice and Pippa Mann. Bell will substitute for the injured Justin Wilson at Dreyer & Reinbold in the No. 22 while Rice will campaign a second Panther entry, the No. 44, as both drivers will run the remainder of the schedule. And it was somewhat amusing to hear Townsend admit he’d asked the DRR crew to fill-up his cockpit with additional padding - saying he doesn’t know how Wilson fits inside these Dallara’s and doesn’t have any sorta padding in his cockpit in order to enable his large frame to squeeze into it! OOPS! I forgot Dillon ‘BAD ARSE Battistini who passed the audition, Err rookie test last Friday at Kentucky and is expected to be in Eric Bachelart’s semi-revolving door No. 34 as chauffer. Battistini started 19 Indy Lights races and won four times - including the ’08 Freedom 100 from Pole.